Hey you. Yes, you. Fallen in love with the choker trend yet? No? I am choker fan. Like major choker freak even though for some strange reason, none of my outfit pictures feature me wearing any. Quite honestly, I'm tired of seeing the same variations of the same styles of chokers. So, I decided to make mine (you might be seeing a lot of choker posts now). What I came up with is probably (may be) the simplest tutorial you've ever seen. I wanted something simple so of course, no sewing, jump rings or any of that. Ribbons are quite easy to work around. Let's get right to it! 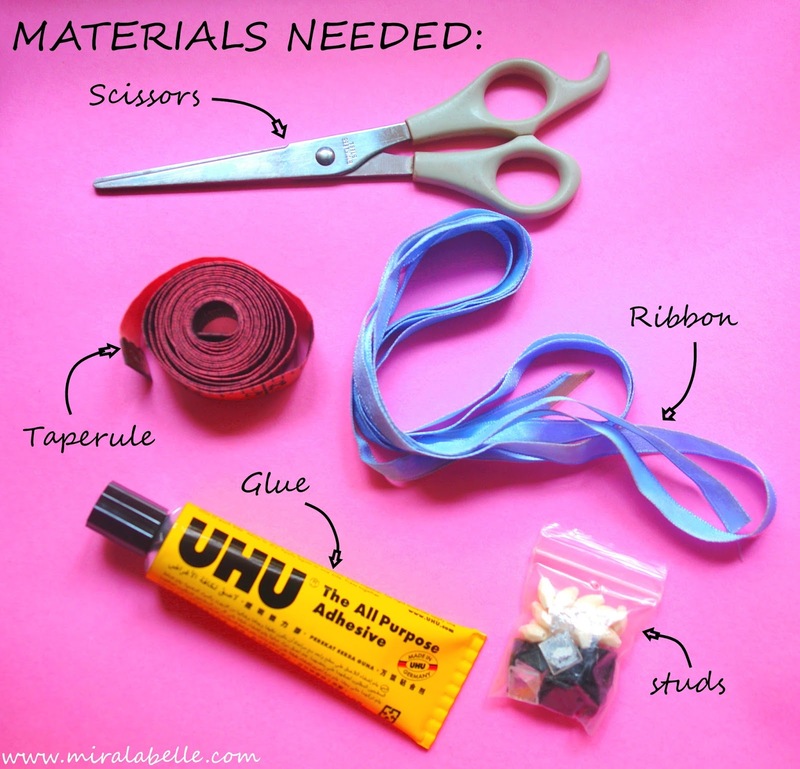 Cost: A roll of ribbon should cost about 150 Naira (less than $1) and the studs could be gotten from just about anything. I got mine from a fancy hair bond ;) This size of glue is 250 Naira (about $1 or so). It's a very cheap DIY. A tape rule/ any kind of rule. Cut the ribbon to the desired length. When you're cutting, you'll want to make sure you measure just enough length so that your ribbon choker necklace ties up beautifully at the back. I went for 31" (31 inches) which seems a bit much but what can I say- I love my big bows. 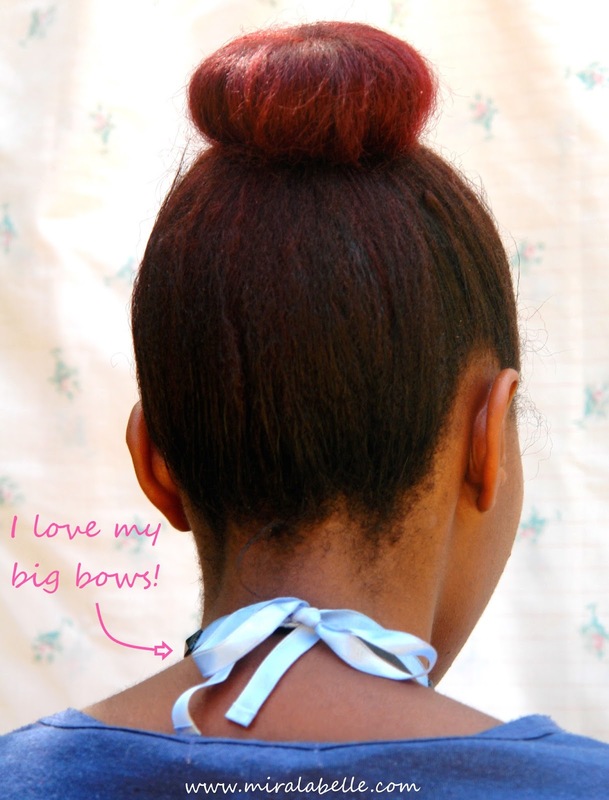 If you don't want a big bow at the back, measure your neck and add a few inches. Be careful, so you don't come up short. If your neck is 13" (13 inches, like mine :) ) you'll want to add about 5"- that's 2.5"on one side and 2.5" on the other. 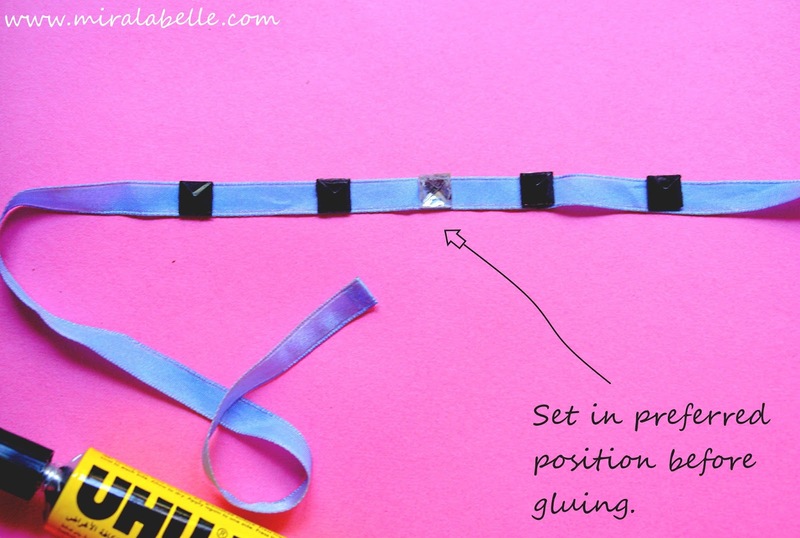 -Glue the ends of the ribbon to avoid fraying. You know how you think you have a ribbon and then you realized everything is frayed and come off just because you looked away one second? Yea, we don't want that to happen after all the hard work (well, not so hard really but still). This easily solved by folding the ribbon and gluing it down. Do this twice and leave to dry and stay secure before proceeding. 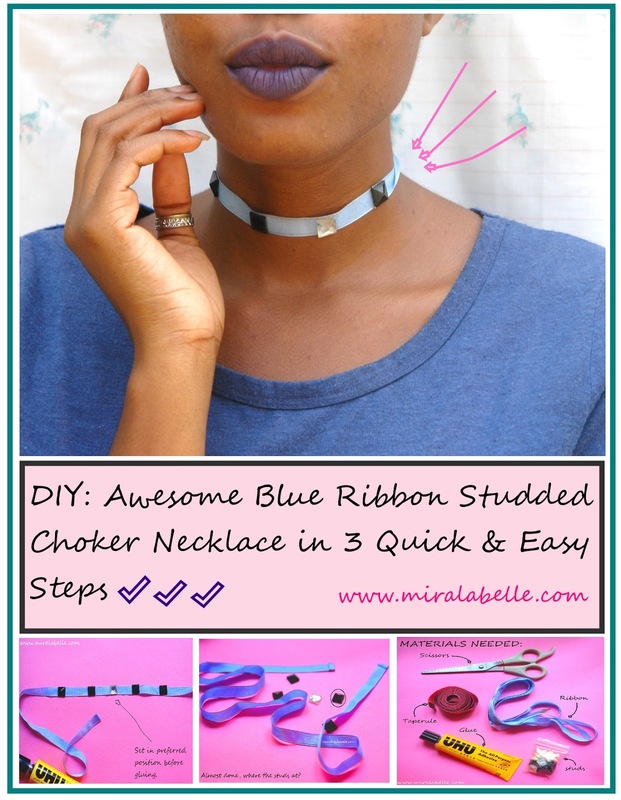 Trust me, you'll thank me later when your ribbon choker hasn't frayed. Glue on the studs. You're almost done. Align the studs and glue them on. 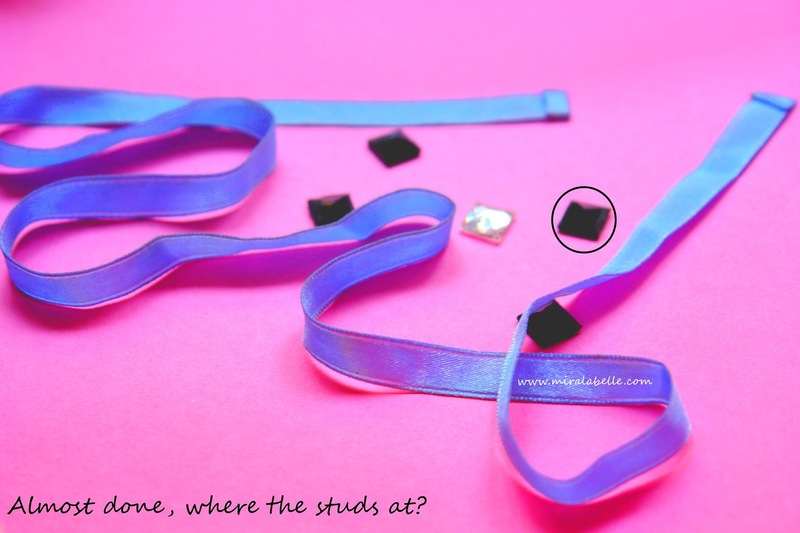 Be sure to put the glue on the studs not the ribbon, it's makes for a neater job. Voila!!! 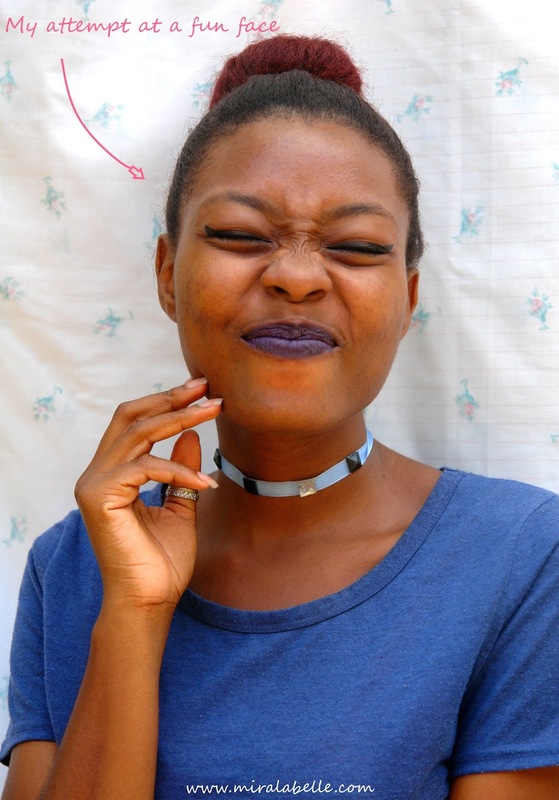 Brand new (newly DIY'd) Ribbon Choker Necklace! 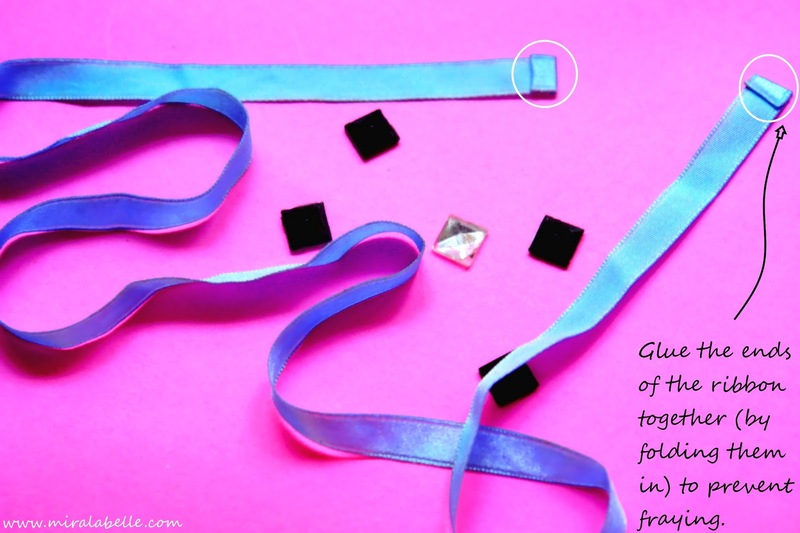 How would you/did you make your ribbon choker necklace? Leave a link, let me know in the comments, I'd love to hear from you. P.S: If you try this DIY, I'd love to see your work! Shoot me an email (ijennamirabelosuji@gmail.com) or use the hashtag #miralabelleDIY and tag me (@unservile_fashionist)* on Instagram*. Great tutorial, and nice work. Greetings. Thank you so much, Greetings! Hello! You were at tbcconnect and I didn't realize you until now!!. Love chokers , and I'm definitely going to try this one. Yay!! Would love to see a picture! Had this in mind to try, but with lace and without the studs. This is a very good one and easy to follow. Great job! Thanks Cassie! I'm still going to do the lace one though. Can't get enough of chokers! Oh wow! Easy peasy. I think I'll try something like this. Niceeee. Exactly- it's so easy! You should try it. Thanks for stopping by. 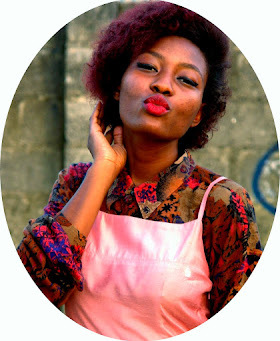 Please do a post on how to wear chokers.... I got this pretty one some time back, not gotten to wearing it. Nice post IJ. This actually inspired me to make a blog post. Yay! Read it, love the velcro idea.